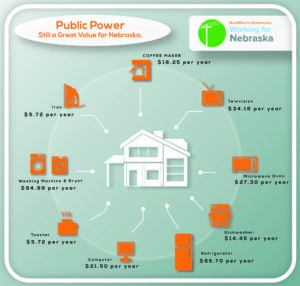 Low electric rates benefit all Nebraskans. 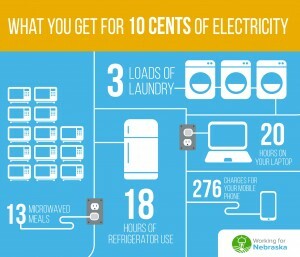 Here, a homeowner can meet all of their electric needs for about $3.56 per day. This is less than the cost of a drive-thru meal to keep your home at a comfortable temperature, your lights on, and your appliances running. Nation-wide, Nebraska’s electric rates are 15 percent below the national average, and we rank in the top 15 among all states for the lowest electric rates. 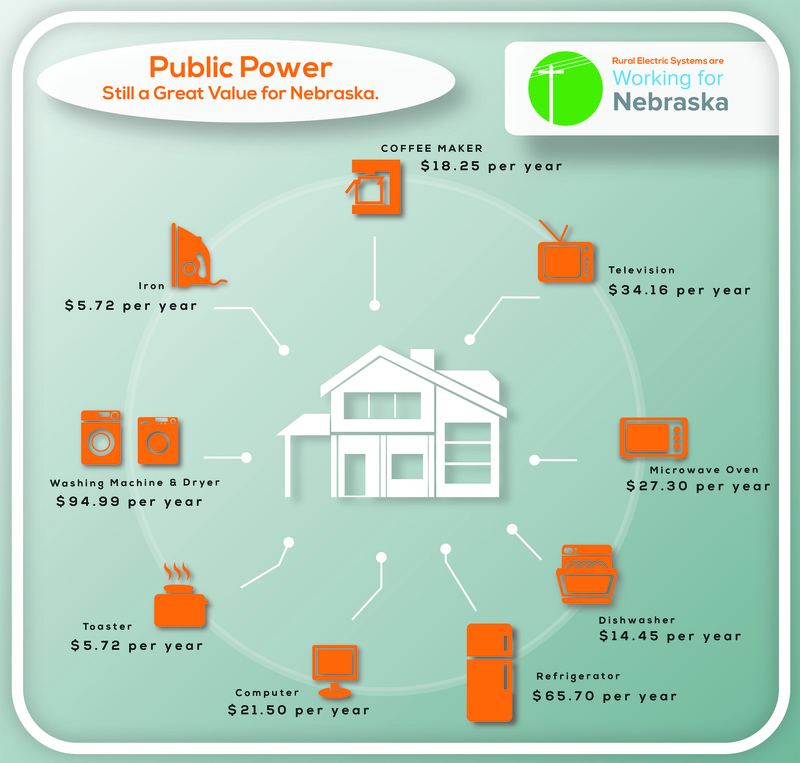 At a time when prices on everything are climbing, public power remains a great value for Nebraskans. 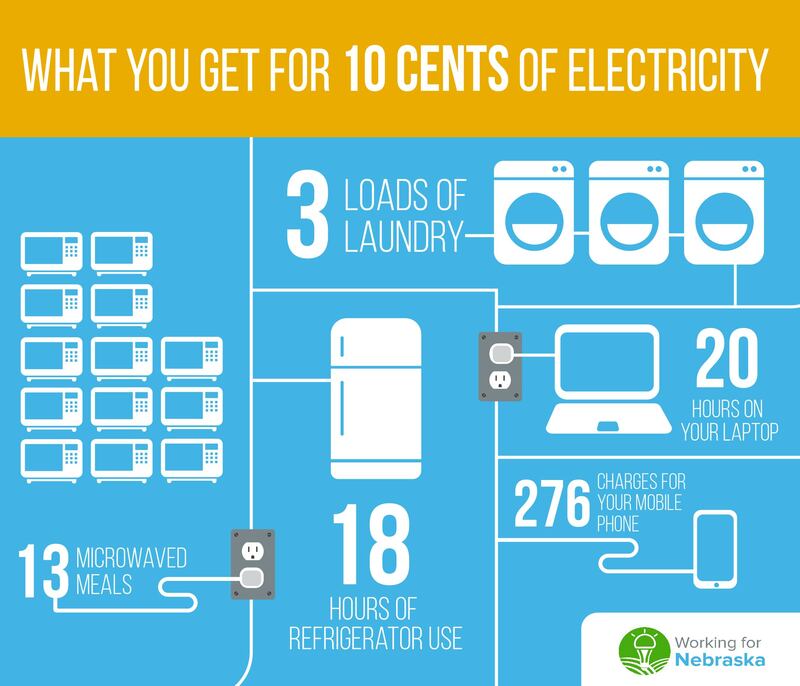 In fact, since 1936 electric rates in Nebraska have only gone up five cents per kilowatt hour on average. Just one nickel’s change since the Great Depression and the beginning of the Rural Electrification Program which brought electricity to Nebraska’s most rural areas. 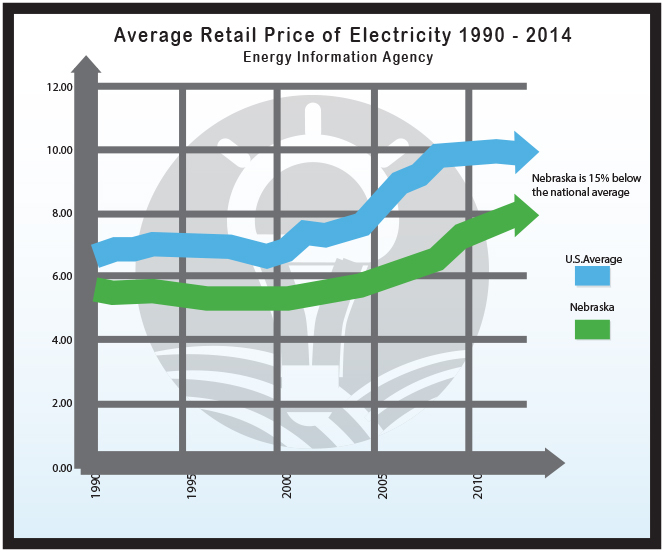 Infrastructure upgrades, rising fuel prices, and federal regulation are all driving forces in increasing electric rates. To keep rates as low as possible, rural public power providers work diligently to keep overhead costs at a minimum. In fact, Nebraska’s rural electric systems employ just one individual for every 239 customers. Nearly 70 percent of your electric bill is the wholesale cost of power to rural power districts. This means the delivery of electricity and all of the work necessary to keep your lights on only makes up about 30 percent of your monthly charges. Nebraska’s rural electric member-systems truly are Working for Nebraska. Let’s keep it that way.